Have you ever met anyone who could shoot an arrow through a $17,000 diamond ring or take out a flaming candle in a pitch dark room? Well then, meet Byron Ferguson; a modern day Robin Hood. Born and raised in Moulton Alabama, Byron was quite an adventurous spirit. So much so, that while hunting with his dad, two year old Byron shot his very first rabbit. “if you want to become a good archer then you should learn the bow and let your body become an extension of the bow; if you want to become a great archer you have to become the arrow”. It is no surprise that despite having been introduced to a variety of active sports, including baseball and football, young Byron continued to show interest in shooting arrows. It didn't take long before this 12 year old lad, found himself working hard as a brick mason to earn money for his very first bow, a 55 lb Browning Wasp Re-curve. Later Byron went on to design and build a series of his own custom longbows. 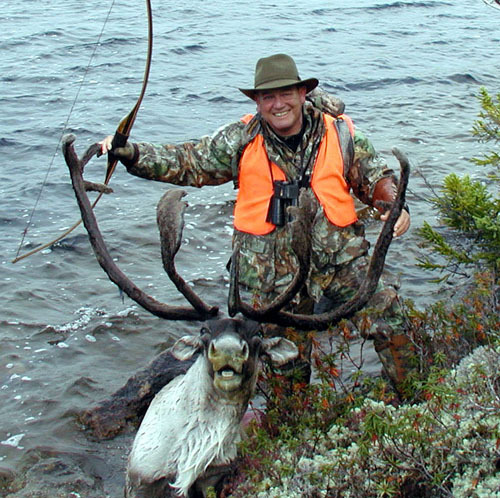 However, it wasn't until he lightheartedly accepted his friend Jimmy’s request to take part in a Bow hunter’s Classic Challenge, that Ferguson became recognized as one of the top exhibition shooters of all time. This awarded him the opportunity to showcase his talent internationally in countries like Japan, France, Italy and more. He has also made numerous television appearances including the Jay Leno show in 2001. 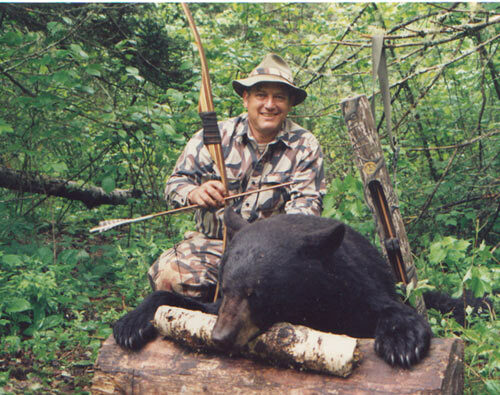 Today this widely acclaimed bow hunter and trickster lives in Hartselle, Alabama with his wife Wanda and two sons Shaun and Zachary. The oldest is an aspiring guitarist, while Zack might just follow in his father’s footsteps and take up bowhunting. Either way, Byron finds little cause to complain. When he isn’t busy traveling he steps up as the host of a popular BBC TV’s Liv’n On The Wild Side and the Outdoor Channel’s Shooting USA. 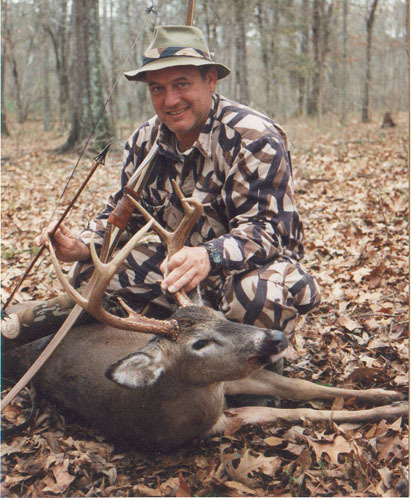 In 2012 Byron was introduced into The Outdoor Legends Hall Of Fame for which he gives thanks to his father who took the time to teach him the etiquette of hunting. 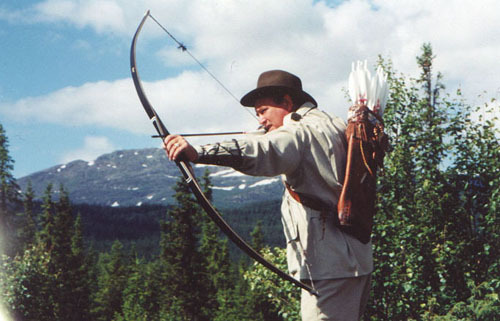 If you’d like to learn more about Byron Ferguson and his bow hunting style feel free to check out his site: http://www.byronferguson.com or take a peek at his book Become The Arrow on Amazon. 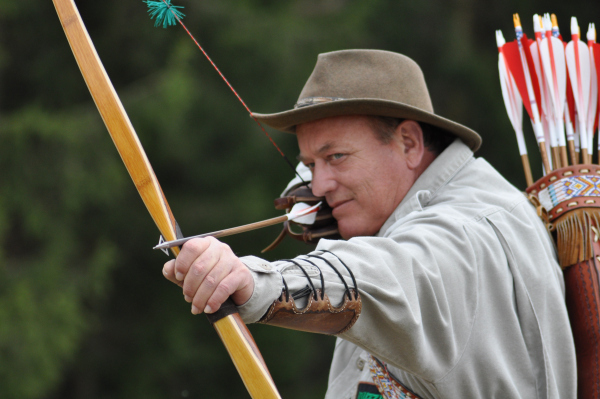 Note - Byron Ferguson is considered to be one of the three best archers of the last century, and the greatest living archer. The other two being Awa Kenzo and Howard Hill.